In general , we call a load with inductance parameters , whose current ahead of voltage ,an inductive load . Inductive load is caused by inductance , like motor , transformer field current (caused by winding coils) , whose current angel is 90°lag behind voltage . Inductance current doesn’t c.. Characteristic of this series:Rated power:0.55kvar-1000kvar Voltage range:380-460V Inductance value:0.49-20.0mH Working mode: short-term work or long-term work(for two hours or more at rated current) Inductance value error: ±10%, short circuit UVW,RST input current. Phase type: single-phase Fr..
Sikes load reactor successfully installed and operated in a large electric vehicle test center in China for testing the EV motor drives. sikes high-precision load reactor was successfully installed and operated in a large electric vehicle test center in China. They are mainly used to test various..
Sikes load reactor successfully installed and operated in a large electric vehicle test center in China for testing the EV motor drives. sikes high-precision load reactor was successfully installed and operated in a large electric vehicle test center in China. They are mainly used to test various p.. Characteristic of this series Rated power:0.55KW-1000KW Working mode: short-term work or long-term work( for two hours or more at rated current) Inductance value error: ±10%, short circuit UVW,RST input current. 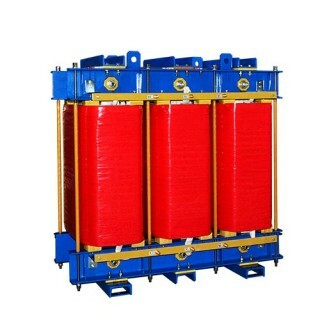 Phase type: three phase Frequency: 50Hz Cooling mode: AN/AF Insulation Class: F/H.. Rated power:0.55kvar-1000kvar Voltage range:380-460V Inductance value:0.49-20.0mH Working mode: short-term work or long-term work( for two hours or more at rated current) Inductance value error: ±10%, short circuit UVW,RST input current. Phase type: three phase Frequency: 50-60Hz Cooling mode..